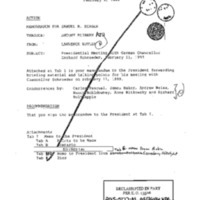 Creator is exactly "Records Management Office"
This Mandatory Declassification Review contains material on correspondence between President Clinton and German Chancellor Gerhard Schroeder between October 27, 1998 and December 21, 1999. 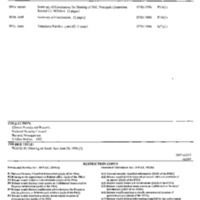 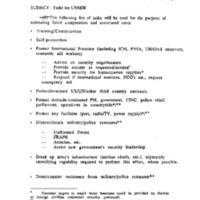 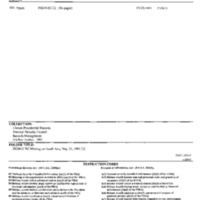 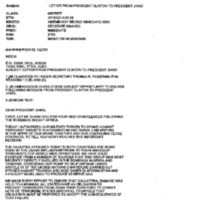 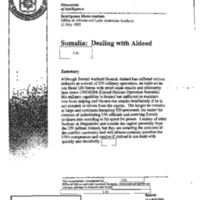 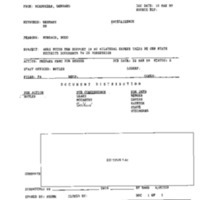 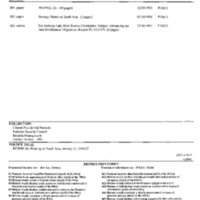 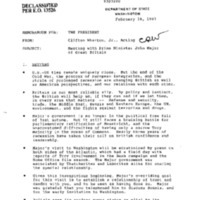 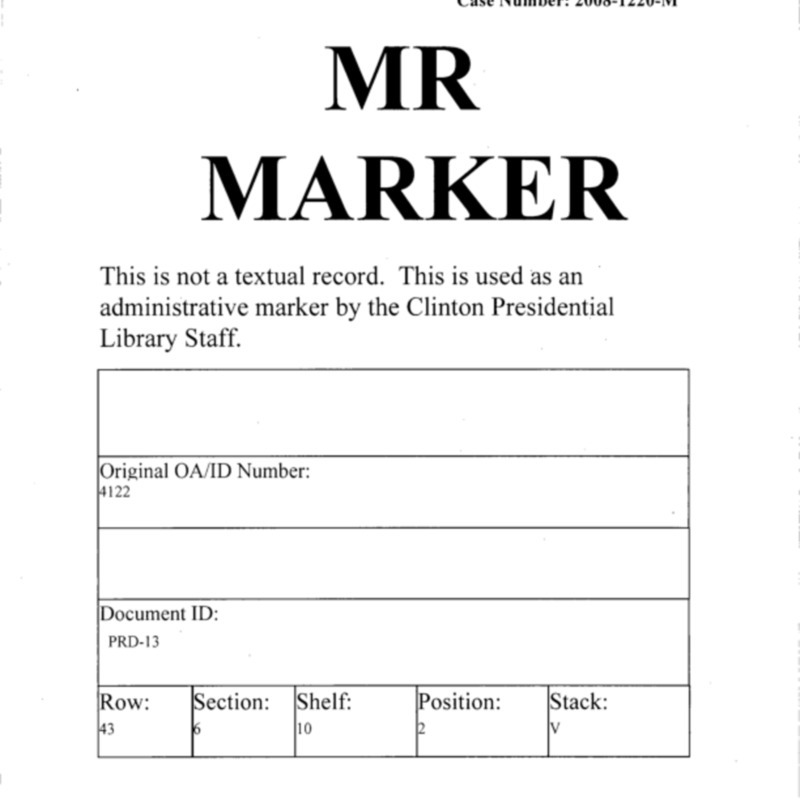 Materials include a National Security Council Records Management Office profile sheet for a letter from Chancellor Schroeder to President Clinton in March 1999. 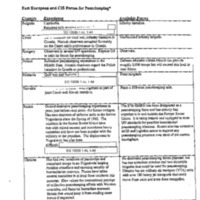 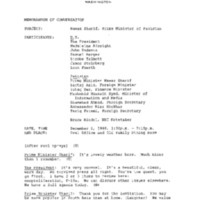 This Mandatory Declassification Review contains material on correspondence between President Clinton and German Chancellor Helmut Kohl. 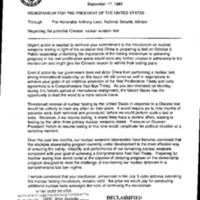 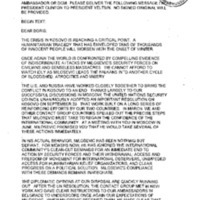 Materials include a letter from Secretary of Defense William Cohen to German Minister of Defense Volker Ruehe from July 1997. 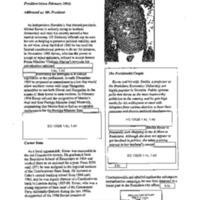 This Mandatory Declassification Review contains material on memcons and telcons between President Clinton and German Chancellor Gerhard Schroeder. 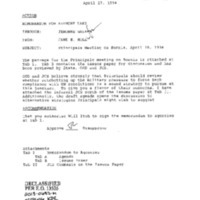 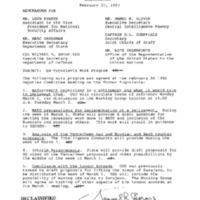 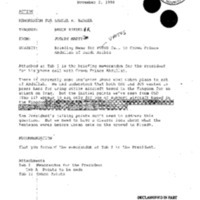 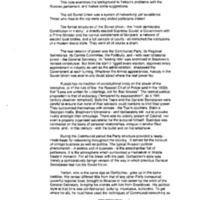 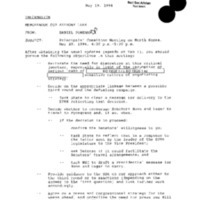 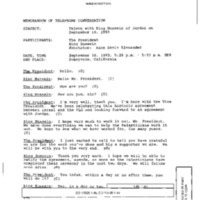 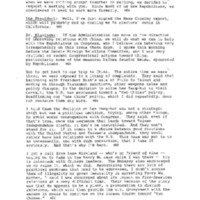 Materials include two copies of a cover memorandum from Lawrence Butler to Samuel Berger on February 10, 1999 transmitting briefing materials for the President's' meeting with Schroeder the following day. 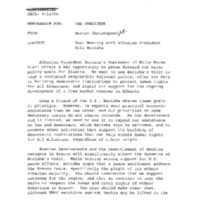 This Mandatory Declassification Review contains material on NATO expansion from the NSC Records Management System. 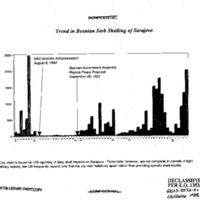 Materials include a chart illustrating trends in Bosnian Serb shelling of Sarajevo and a biography of Polish Minister of Foreign Affairs Bronislaw Geremek. 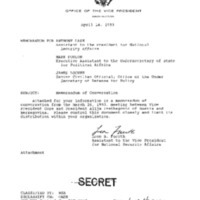 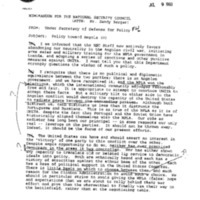 This Mandatory Declassification Review contains material on Principals Committee (PC) and Deputies Committee (DC) meetings concerning NATO expansion from 1993 to 1999. 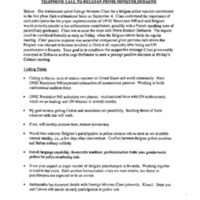 Materials include a list of East European and CIS forces available for peacekeeping activities. 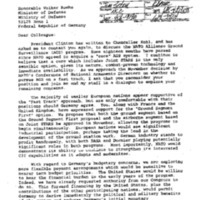 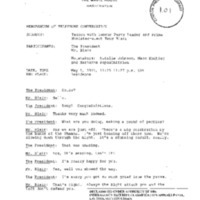 This Mandatory Declassification Review contains material on meetings between President Clinton and/or Vice President Gore and President Arpad Goncz of Hungary from 1993 to 2000. 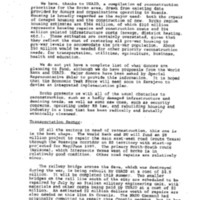 Materials include biographies of President Goncz and President Michal Kovac of Slovakia. 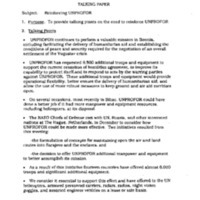 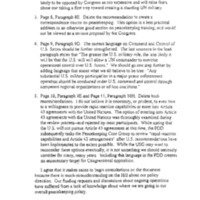 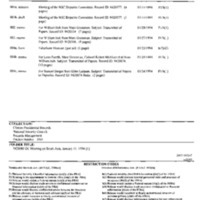 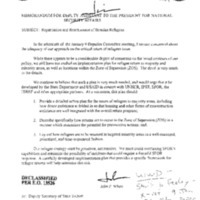 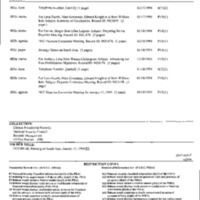 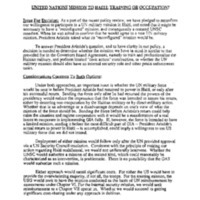 This Mandatory Declassification Review contains material on the Nunn-Lugar Cooperative Threat Reduction Program from the NSC Records Management System (RMS). 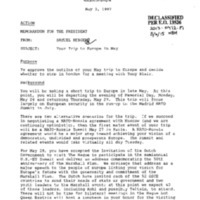 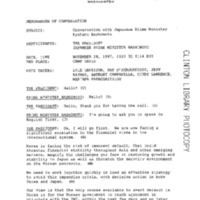 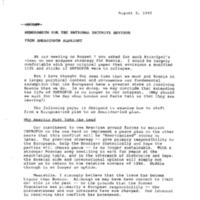 Materials include memoranda from 1994 through 1996 regarding the Nunn-Lugar Program in Ukraine and the Balkan states, as well as a cable from February 1994 discussing space cooperation with Ukraine. 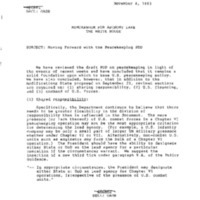 This Mandatory Declassification Review contains material on Principals Committee (PC) and Deputies Committee (DC) meetings on Bosnia from 1993 to 1995. 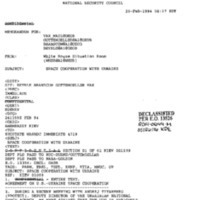 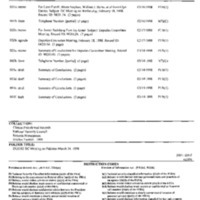 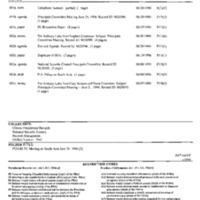 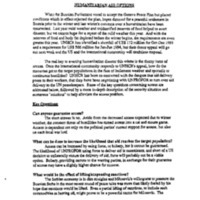 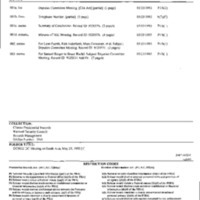 Materials include Department of Defense papers, memoranda, and reports regarding the Bosnian Federation, the United Nations Protection Force (UNPROFOR), and military activities in Bosnia in 1994 and 1995. 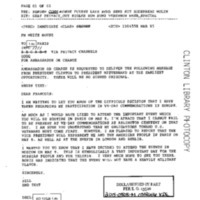 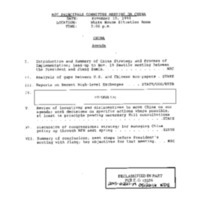 This Mandatory Declassification Review contains material on a November 28, 1997 memorandum of conversation between President Clinton and Japanese Prime Minister Ryutaro Hashimoto.